Tell us what you like and dislike about Robinhood (Crypto). Help others make more informed decisions based on your insights. Easy and simple. The app is super user-friendly and overall it is really easy to understand. I wish there was more communication and information around trading, or incentives or promotions to learn about more stocks. Trades really are free, which is awesome, and the UI is easy to use. Could do with more in-depth customization of alerts – sometimes I feel a little overwhelmed. I like the user experience (UX) to buy and sell. Very slick and easy to use with 0 commission. The order execution is not fast enough sometimes, and it doesn't have a specific account like ROTH for retirement. Everything on the app about selling & buying stocks is free, which is completely different than any other platform I've come across. It does not offer much support to a new investor like myself. It’s versatile for me. My fiancé introduced me to the app which gave me a stock, which was pretty nice on my end. I’m just learning more about the cryptocurrency. It’s a amazing assist to monitor current stocks and other future investments. The app tends to lag or stall on updating information in live market timing. Robinhood is easy to use and there are no fees for trading, which I love! At times, it is slow to update and switching between stocks can be slow. Simple, cheap, easy to trade/use, and good customer service. It'd be nicer if it allowed faster $ transfer back to bank account. Easy to use and trade. I was new and it provided a great learning platform. The news portion could definitely be a little more relevant to the security you’re looking at. Very simple user interface. Can easily transfer money between app and bank account. Great usability in following certain stocks and staying updated on their movements. Robinhood should consider adding the ability to invest in international markets as well. The app doesn't charge you to make trades and I like that I can easily check my investments on my phone. It takes 3 days-ish to settle and you can't short-sell on the platform. 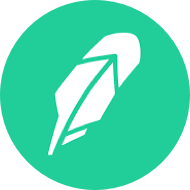 Robinhood is a US-based investment app that allows its users to buy and sell stocks, options, and cryptocurrencies without taking a commission.